The answer to this question is a simple one. As it stands, the literary executor of J.R.R. Tolkien’s work, his son, Christopher Tolkien, has refused to consider any further licensing of his father’s work for cinematic purposes. None of this material is available to Peter Jackson’s production crew. Indeed, they must be quite careful to avoid any reference to these works, lest they are accused of using material that is beyond their access. One could even consider Gandalf’s scripted comment concerning the names of the two blue wizards as a nod to this ‘forbidden knowledge’ – in the film, Gandalf says their names are lost to him, when Tolkien knew the answers, and provided them in Unfinished Tales (Alatar and Pallando). Movie buffs want to see the best possible Hobbit films, and they feel this untouchable material would have been valuable to the production. Further, they wish to one day experience part or all of The Silmarillion on the silver screen. In their eyes, this could all happen if Christopher Tolkien would just let up, and sell the rights. Of courses, wishes aren’t horses in the world of intellectual property and copyright law. Christopher is the literary executor, and his decision stands. We have no legal right to complain. Let’s first ask: Is Christopher fit to be deciding the fate of his father’s work? Did his father make the right choice in naming him the executor? Absolutely, the answer is yes. With the possible exception of Rayner Unwin, who enabled the publication of The Hobbit, and supported Tolkien’s work and maintained a friendship with him from the age of ten until his death, there has been no bigger fan of J.R.R. Tolkien’s work than his son Christopher. The son’s name is known to us primarily because he has provided many more pages of his father’s writing than anyone else. We would not have The Quest for Erebor or The Silmarillion as something we want filmed if it weren’t for Christopher’s efforts at getting these posthumous works published in the first place. 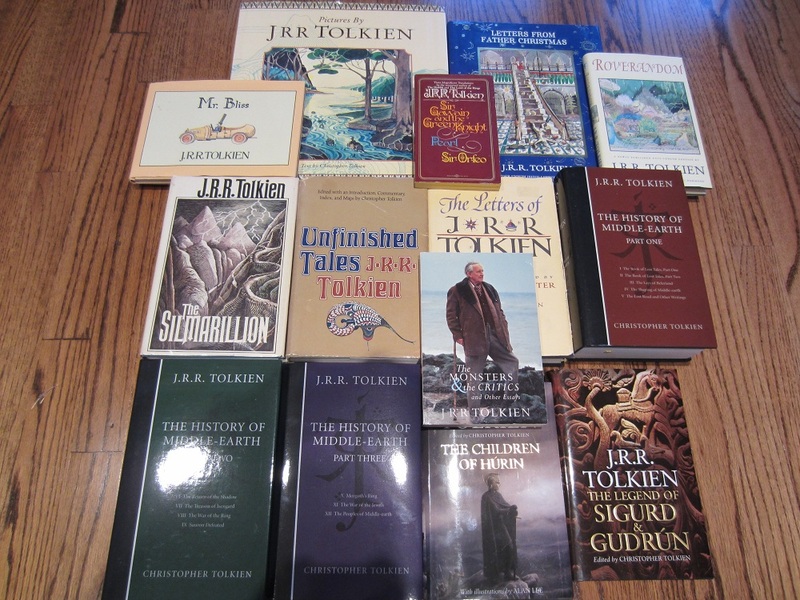 He also brought us Unfinished Tales, allowed the publication of his father’s letters, gave us the twelve volume History of Middle-earth, the Children of Hurin, and so much more. It’s impossible to overstate the importance of Christopher’s contributions to the world of Tolkien. So J.R.R. Tolkien clearly chose the correct literary executor; he couldn’t have asked for a better steward of his work. Now that we’ve established Christopher as a true fan, can we trust him to know his father’s wishes in this matter? After all, many children do not maintain closeness to their father. How about Christopher? 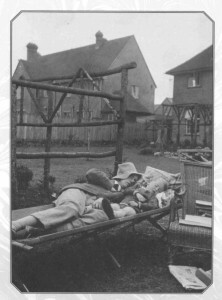 Tolkien’s letters show us that father and son maintained a close relationship throughout their shared Earthly existence. Christopher loved his father’s writings. As a young child, he sat with his father, who would read his writings to him. In the military, he read and reviewed chapters of the then-in-progress Lord of the Rings. He made many versions of the Middle-earth maps we love so well. We can see he loves his father’s work, and supported it. It’s extremely unlikely that he is not aware of whether or not his father wanted films to be made of his work. Christopher may not be honoring those wishes, but it’s difficult to believe that he has no inkling of his father’s wishes in this matter, as it came up during his lifetime. That’s settled, so next, do we have any independent evidence ourselves as to what the father would have wanted done with his work? We are left uncertain. Tolkien is willing to have his work filmed, but perhaps he was only willing to consider this because he desperately needed the money. So we can’t decide this for ourselves. We are left right at the beginning – still wondering if Christopher is doing the right thing. Well, let’s finally hear what he has to say! What does he have to say about the world of Tolkien? He is hardly mincing words, and some, even many (including myself), would say his words go too far. In an attempt to paint a single-toned picture, create a fully consistent view, he loses any subtlety and with it, a bit of validity. I would never have discovered the world of Tolkien without that ‘monster’ crossing my path in a 1973 holiday display at a local bookstore. This website, first made for the production of the films, has places devoted to discussing Tolkien’s work, and has created a community for discussion of the books that would not have existed but for this ‘cultural monster’. So where does this leave us? After all this, we are still right at the beginning – wondering if Christopher is doing the right thing. This is why debate on this topic has continued to rage, instead of quickly settling. Many of us want more Tolkien on film. We aren’t going to get more, because Christopher won’t let us have any, and we aren’t sure what J.R.R. Tolkien would have done. Christopher has the legal right to make the call, is a good choice to be the one making the call, knows his father’s wishes better than anyone, but can we and should we support the decision? Let’s do a thought experiment and try to guess why Christopher might have made the decision he has made, and see if we can empathize with it, and from that, support it. To do this, we can only look at his words and actions; we don’t know his intent. His words show his concern is over popular culture “reducing the aesthetic and philosophical impact of the creation to nothing”, and his actions show he has devoted his life to exposing his father’s written word to the world. It’s clear to us that Christopher thinks his father’s work conveys something vital. He wants us to see what’s so inspiring about those words. I believe, that to his viewpoint, based on his experience over the decades, the more that work is filtered through the imperfect lens of adaptation, and becomes fodder for the grist-mill of popular culture, the further it gets from the purity of its source material. To Christopher, that’s a shame – he must “turn his head away.” When people get their Tolkien only from the films, or plays, or role-playing games, or other adaptations, they are missing the true value of his father’s work. Christopher has devoted much of his life to combating this problem. To quote Galadriel, “Through the ages of the world we have fought the long defeat.” That’s what I think Christopher is doing – fighting what he sees as the long defeat – wherever he can, not only publishing as much of his father’s work as he can, but preventing further erosion of his father’s written word by simply not allowing further adaptations to take place. All this is speculation, but to me it’s reasonable. At the end of the day, I do not know, but believe, that Christopher simply wants others to read what his father wrote. By keeping much of what was written from the movie theater, if you want to read about Gandalf’s origins – you have to go to your bookshelf, you can’t fast forward to that on a DVD. If you want to find out just who Morgoth was, and why all of Middle-earth was considered his ring, you will have to go to your local library and check out some of the History of Middle-earth; you can’t skip to that chapter on Netflix. And with that bit of effort, borne out of wanting to find out more, you will transform yourself from a movie-watcher to someone who has directly discovered the true joy and depth of Tolkien’s world that only his writing can provide. Maybe there will be a day in the future when Tolkien is regularly taught in schools, so everyone knows what he has provided to us. But “it is not this day.” This day, it helps to keep having reasons to go to the books; to have some parts of Tolkien’s world beyond the reach of any adaptation at all. 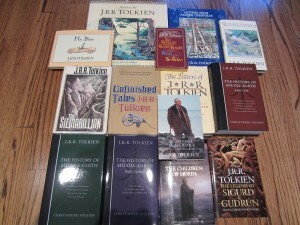 Christopher is uniquely empowered to force us to go to the books, and, while I want more Tolkien on film, I can empathize with his. In addition, because I love the books so much, I find myself supporting his decision. (For the most part, as I think Quest for Erebor could have been licensed.). I hope, after reading all this, that you can support his decision as well. Both film and book have brought so many joy. I believe we should celebrate the existence of both. Thank you, Peter Jackson, for creating the films, introducing so many to Tolkien’s world. 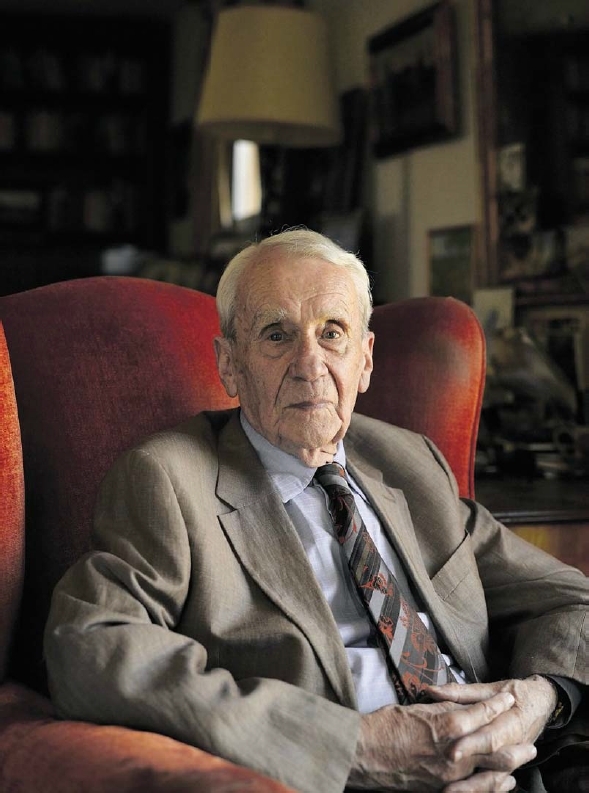 And thank you, Christopher Tolkien, for making sure all of us still have plenty of reasons to go back to the books, where a deeper joy awaits.